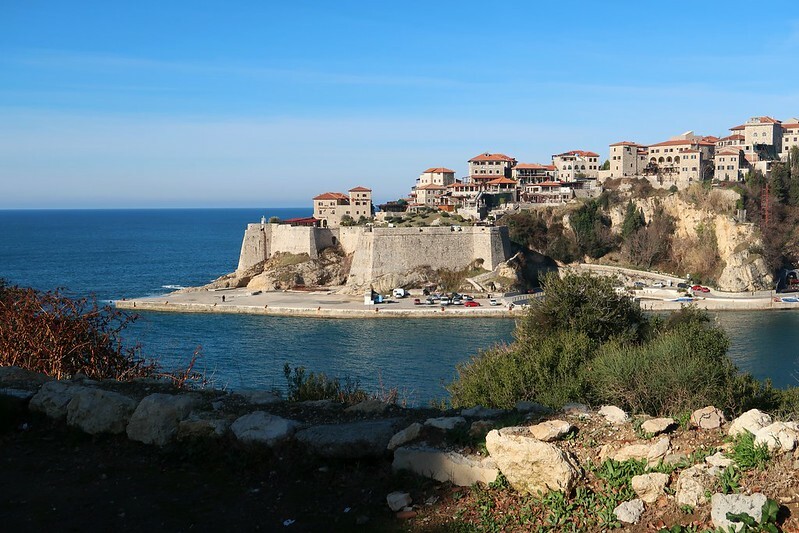 Mali Mish – Goodbye, Montenegro! Hello, Albania!! 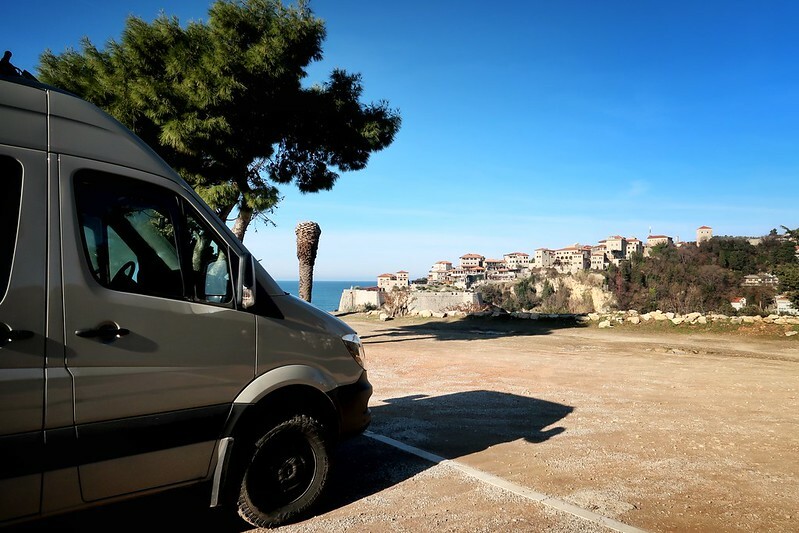 In the morning, we woke up to this amazing view of the fortified city of Ulcinj, Montenegro from our parking lot camp spot. We also woke up to an older gentleman asking us for money for parking. It sounded a little fishy to us because it is supposed to be free in the winter and he kept adjusting the price we “owed” him. After a minute or so of confusion, he realized he wasn’t going to be able to scam us for a few euros when I started speaking Croatian to him. We didn’t want to give into a scam and cause problems for future campers. Dan wished the man would have just asked for money straight away instead of this scam bullsh*t. He would have got something from us with the former. But the morning confusion did have a positive outcome. It got us to get out act together and head towards the border sooner than would have occurred. Driving this under construction road is MUCH nicer during the day than in the pitch black as we did last night. We took it nice and slow. 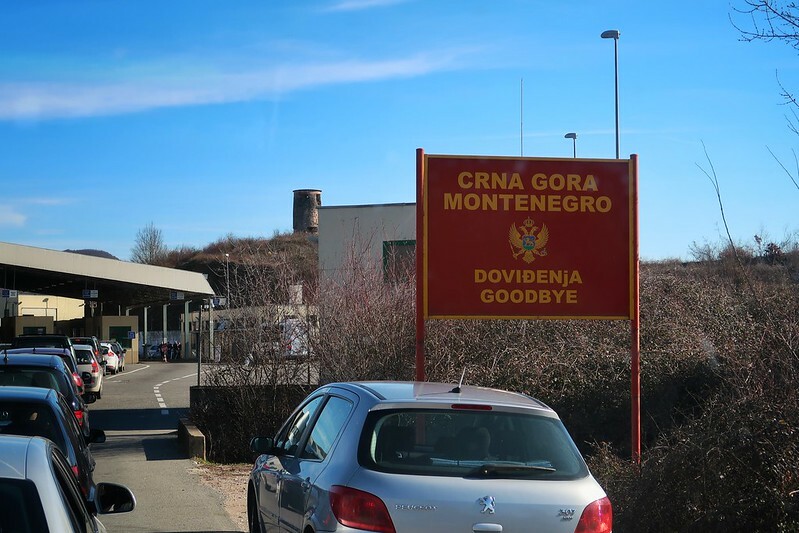 When we crossed from Croatia to Montenegro, we had two border agent stops (one for each country) and a little section of no man’s land to drive through in between. But that didn’t happen today when we crossed from Montenegro to Albania. 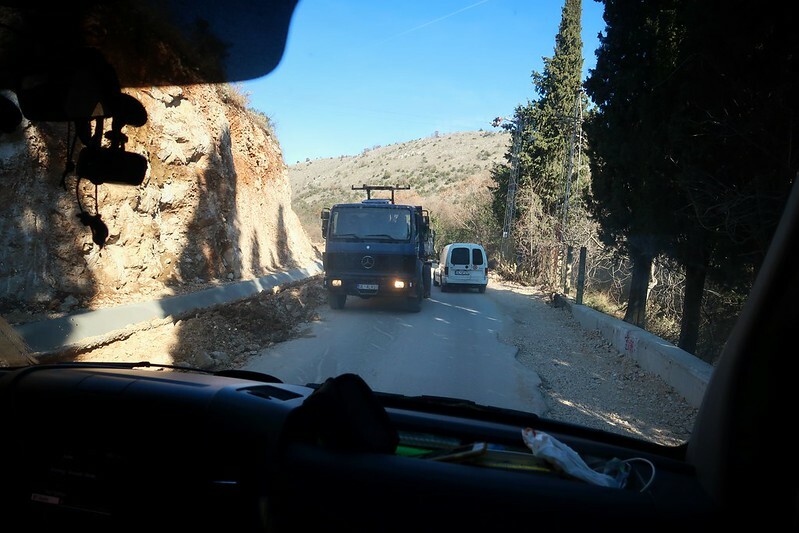 The border agents from both countries shared a booth and the Montenegrin Border Police took our IDs to check us out of their country, and then they physically passed our IDs to the Albanian Border Police to check us into their country. 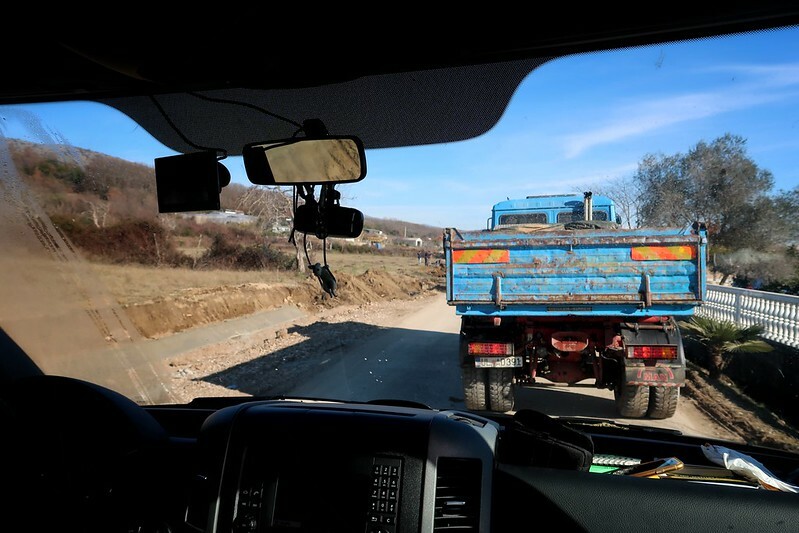 As soon as we crossed into Albania, we pulled over into the first parking lot we saw because we needed to buy car insurance for Albania. Our required European Green Card insurance does not cover non-EU countries since we are a US-plated vehicle. It cost us about $60 USD for a month of insurance. The two-week option wasn’t much cheaper so we took the one month option just in case we wanted to stay that long. 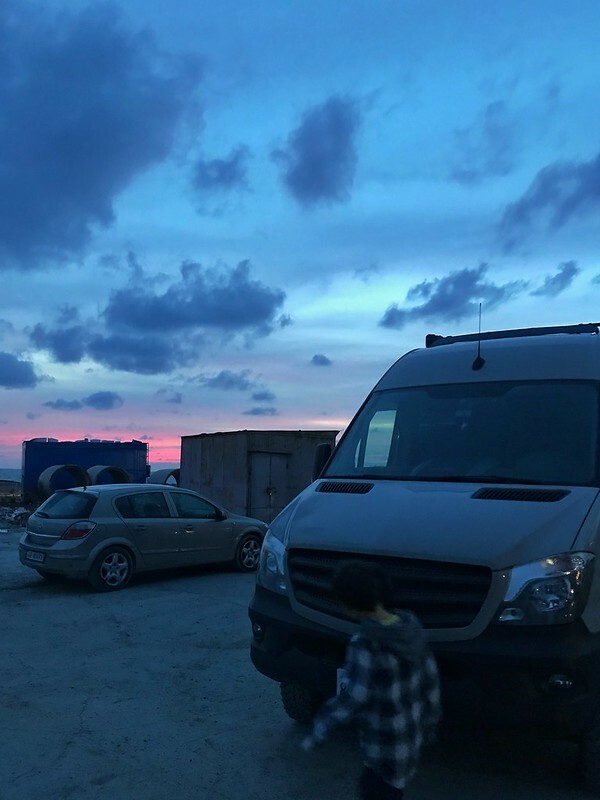 When we parked the van just past the border crossing, we were approached by a mother with three children. They stood by our van sliding door as we were trying to get out of the van and started to ask for some money. Dan gave them some euros but the asking didn’t stop. The mother then asked for clothes. Then for shoes. Then for food. Then for money again. She followed Dan to the insurances booths and shadowed him the entire time. 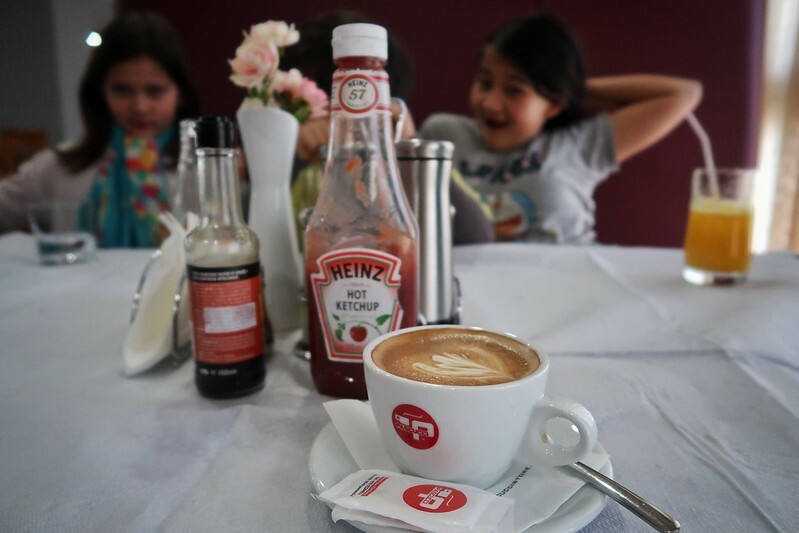 We haven’t been asked to give money during the entire 4+ months in Europe so far and it’s kind of strange that it happened twice in the same morning. 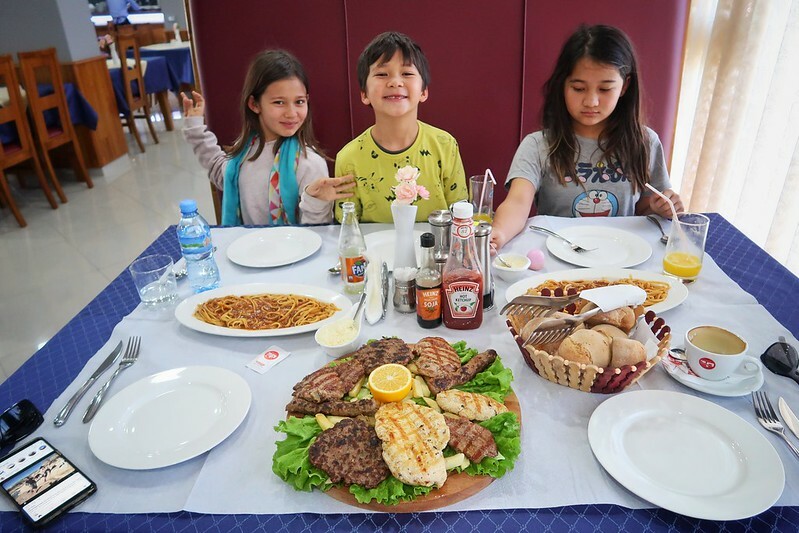 After a few miles under of belt, we stopped for our fist meal in Albania. We noticed that one of the restaurants was flying Albanian and US flags so we thought that would work as our first stop. We ended up ordering 5 drinks, 2 plates of pasta bolognese and a meat platter for two. All of this added up to about $25 USD. 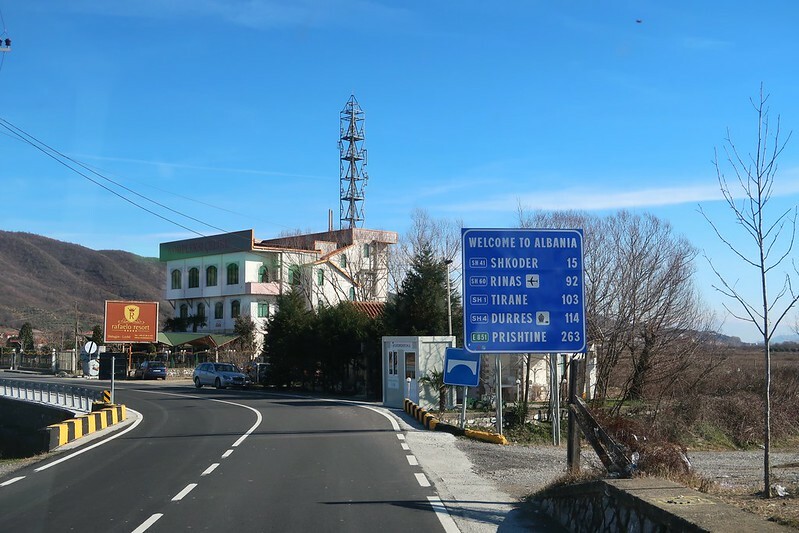 A funny thing happened when we crossed into Albania. 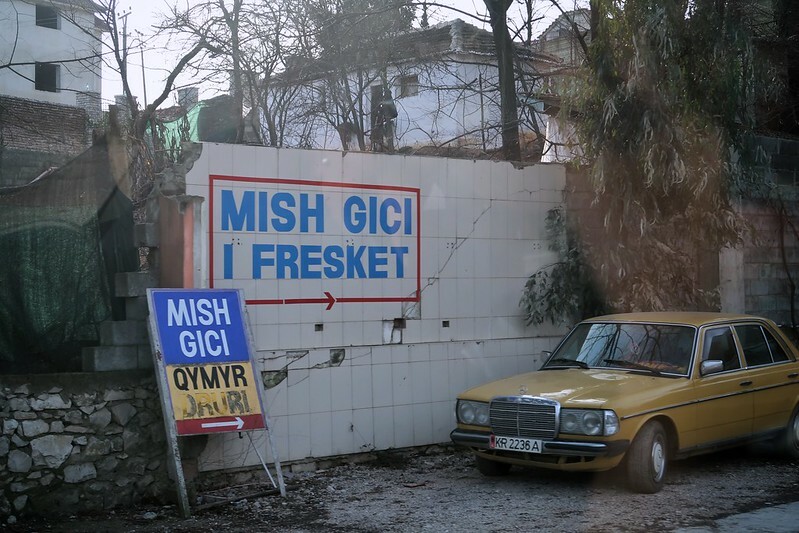 We realized that MISH meant meat in Albanian, unlike it meaning mouse in Croatian. So here we are driving around in Albania with our website plastered on our van and it means LITTLE MEAT dot com. Lol. Albania was an isolated Communist country up until 1990. 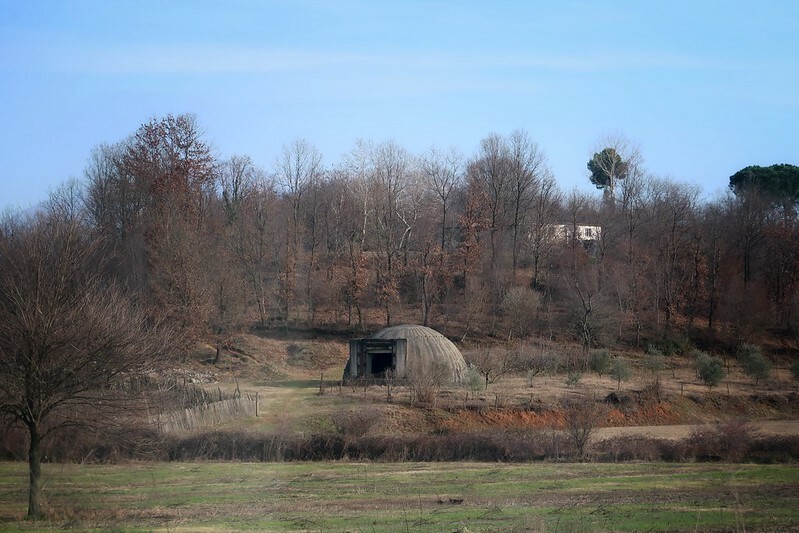 The former ruler had hundreds of thousands of concrete bunkers built in case of enemy attack. Eventually Communism fell, the leader died and the borders were open again. But these reminders of the past can still be seen around the country. 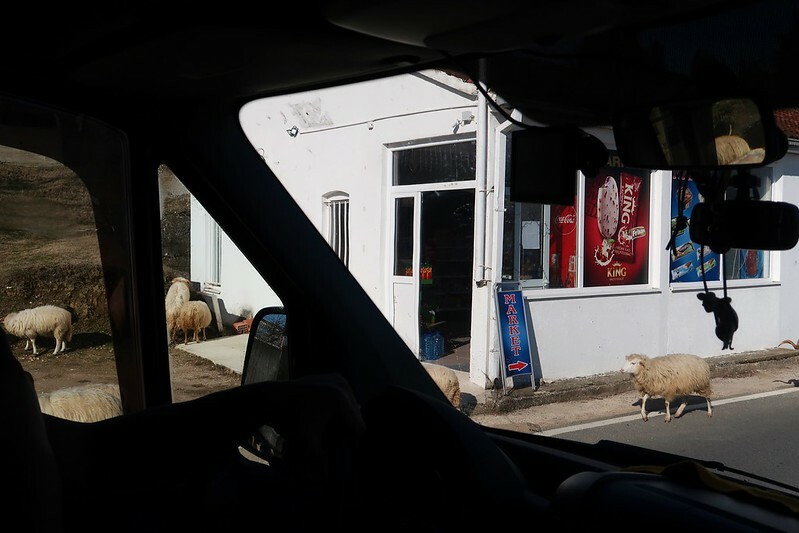 We spied our first one on our drive towards Durrës, Albania. And here we are. In a parking lot near the port of Durrës where we will spend a few days exploring and catching up with work.